How important is the modern golf driver? Are we still just driving for show? Or is the driver the foundation of a good set and a good game? Advances in sweet spot technology, size, launch angle, composition, ball speed and forgiveness are just some of the categories that manufacturers now spend vast amounts of time and money researching and developing. The result is a vast array of drivers on the market each with their own features and benefits. We are spoilt for choice as to what driver we should use in today's market, and finding the right one can increase your drives for shorter approaches, more distance or perhaps being able to get up to that testing par 5 in two. Whilst it may just be one club in the bag, it is typically the most expensive. There is a lot to consider when buying a new driver so here are the key facts you need to know. What head size is right for me? Club heads are measured, by volume, in cubic centimetres (cc) with a maximum limit of 460cc. Almost all drivers in today's market are between 440 and 460c. Typically, 440cc drivers are designed for players that like to shape the ball more in the air as they generate different launch conditions compared to 460cc heads which generally offer more forgiveness. As the limit is on volume, the shape of the head will vary depending on the vertical and horizontal depth of the head and the level of forgiveness and launch conditions the manufacturer wants to achieve. Driver technology has moved on a long way since persimmon woods and even the first metal woods that were made from steel. Now virtually all drivers today are made of titanium or composite heads. The reason titanium became so popular is that it is strong, long lasting and lightweight. It allowed companies to increase the size of clubheads without increasing weight, meaning players could swing faster, produce more distance and have greater margin for error with a larger sweetspot. Composite drivers are clubs that combine several different types of materials. Lightweight materials such as carbon or heavyweight materials such as tungsten are often combined with titanium to improve driver performance. When used on the crown or the rear section of a clubhead, carbon can reduce the overall weight of a driver. This allows companies to alter the weighting or centre of gravity of a driver, whilst using a titanium face, to produce optimal ball speeds. Heavier materials such as tungsten can help increase a club's perimeter weighting which will increase MOI. MOI stands for Moment Of Interia. It refers to a club's forgiveness, specifically its resistance to twisting at impact. The higher the MOI, the less likely a club is to twist or rotate when you strike the ball away from the centre of the face. Ideally you should be custom fitted for your driver and during this process you may hear the phrase "Launch Conditions";. This is a combination of factors that determines how the ball is struck and what the result will be. There are many factors that create launch conditions but the keys ones are ball spin and launch angle. The holy grail for spin is 1700 rpm with a launch angle of 17 degrees but that is not currently possible at normal swing speeds.The current ideal is considered to be fewer than 3000 rpm with a launch angle of 10-12 degrees depending on your club head speed. What loft should I choose? Loft dictates how high or low the ball will fly off the clubface and is measured on a vertical axis. A clubface with 0 degrees of loft would sit perpendicular to the ground, but most drivers typically range in loft from 8 to 12 degrees. Loft adds backspin to the ball enabling it to generate lift and rise into the air. The more loft you have, the more backspin you will create. Therefore golfers with slower swing speeds, of around 90mph or less, will need more loft to optimise their launch conditions. Typically, these golfers should select higher lofts of 10 degrees or more. Lower handicap players or players with swing speeds over 90mph may be better suited to lofts below 10 degrees. Their faster swings produce more spin and distance, meaning they do not require as much loft. However loft is not the sole factor in how ball will fly as that depends on the launch angle. The Centre of Gravity (CG) of a driver is the single balance point of the driver. It can be moved vertically, horizontally, or back and forward in a club head by moving fixed or adjustable weights inside the head. In general the lower and further back the CG is, the higher the ball will launch, because the spin is increased. The driver will also be more forgiving as the MOI will be higher. Moving the CG forward will increase ball speeds but reduce the ball spin and the MOI. How does driver adjustability work? The majority of drivers today include various forms of adjusability, allowing players to customize their driver to suit their swing, size and conditions. Most of the adjustability contained within these drivers can be broken down into three aspects. As we mentioned before, finding the right loft and launch angle can be crucial. By allowing players to adjust the loft of their driver using an adjustable hosel, manufacturers are able to alter the height, carry and spin of a driver. Most loft adjustments are made by removing a screw in the heel, connecting the shaft to the clubhead, and replacing it to a predetermined setting. Many drivers offer up to 4 or 5 degrees of loft changing, depending on the brand and model. When you change the loft of the driver using these settings, you will also change the lie, which is the angle of the shaft to the ground at address. This will affect ball flight horizontally left or right. Some adjustable hosels can also enable you to change loft without changing lie and vice versa, so it is worth checking out if lie adjustment is something you need. Face angle refers to the angle of the face at address. If the face sits completely perpendicular to the target, it is considered square. If it turns the face away from the player then it is said to be open and this will reduce the loft of the club. If it turns the face towards the player it is called a closed face and adds loft to the face. Whilst face angle is largely determined by a player's preferred look at address, it can have some impact on ball flight. For players who slice the ball, a closed face angle can help them square the clubface at impact and not lose the ball to the right. Vice versa, if a player tends to hook the ball left, an open face angle can help straighten their impact position. The ability to alter or move weight in different parts of the clubhead, thus changing the club's centre of gravity and MOI, can have a significant impact on ball flight. How the weight is adjusted or positioned, the goal is to find the optimal centre of gravity at impact to produce the best ball flight for your game. Various weight and plugs ranging from 1 to 20 grams can be positioned on the sole of the driver, and altered to fit your game. They can create a draw bias (more weight in the heel), a fade bias (more weight in the toe) or even a higher ball (more weight in the back portion of the head). Each manufacturer has their own way of using adjustability and weights. COR stands for Coefficent of Restitution and is the measurement of the energy transferred. It is also sometimes known as the Characteristic Time (CT). If COR was equal to 1.00 all of the energy from the clubhead would be transferred to the ball. Golf's governing bodies have set the COR limit at 0.83, meaning that there can be no more than an 83% energy transfer from the clubhead to the ball. Is COR the same as Smash Factor? The term Smash Factor is similar to COR, but is used primarily by launch monitors to measure how efficient you are at transferring energy from your swing to the ball. It is calculated by dividing ball speed by clubhead speed. For example, if you swung your driver at 100mph and produced a ball speed of 150mph, your smash factor would be 1.50. 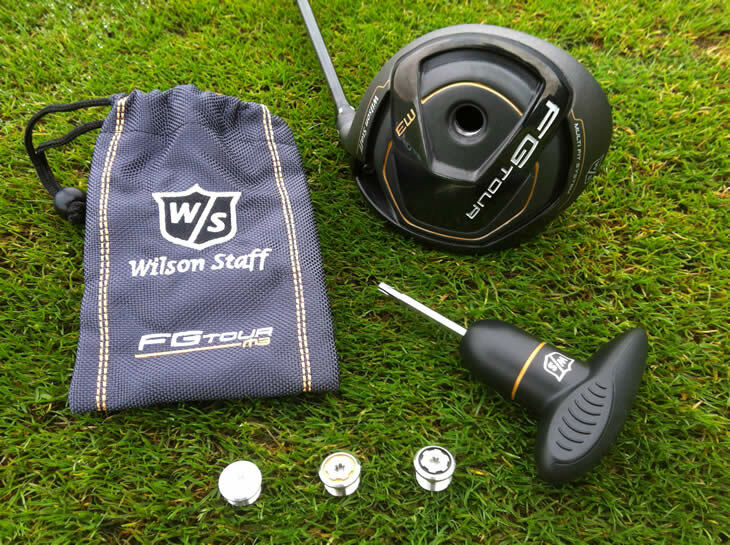 How will shaft flex impact my driver? Shafts are important in all clubs, especially in drivers. The right shaft can help players hit the ball further, straighter and more consistently. Most manufacturers will offer drivers in regular (R), stiff (S) and extra stiff (XS) shaft flexes. Other flexes include light or ladies flex (L), senior (A) and more extra stiff options (XXS, XXXS). Typically lighter, less stiff shafts will produce a higher, right-to-left biased ball flight. Heavier, stiffer shafts will launch the ball lower with a higher tendency to shape to the right. How does shaft length affect a driver? Whilst the legal limit for the length of a driver is 48 inches, most drivers are between 43 and 46 inches. So why are companies not making 48-inch drivers when all the other aspects of a driver are almost at the legal limits? The answer is physics. The longer the driver, the further the clubhead travels during the swing, thus increasing speed. Whilst this sounds great, longer length will a little sacrifice control and increase the shot dispersion. Most drviers have a shaft of around 45 inches to strike the best balance of distance and control. For more information on shafts, see our Golf Shaft Buying Guide. 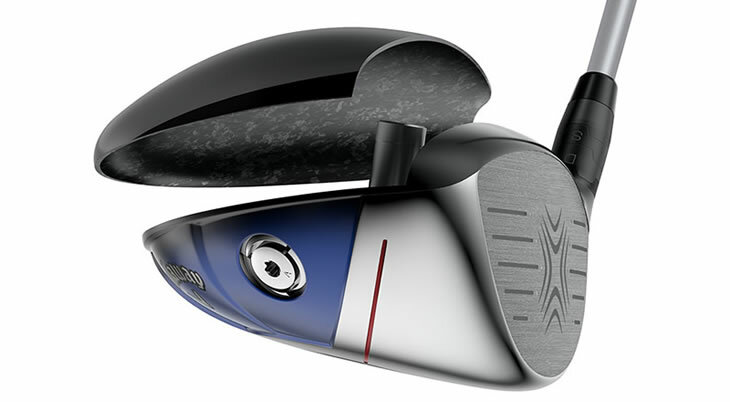 Cobra has got balance of looks right in driver with great perforamance at competitive price. New Flash Face brings ball speed to forgiving head design. Forgiving face is faster thanks to Speed Injected design. great looks too. Very consistent driver where you can independently adjust loft, lie & CG. Everything of G400 driver, but bigger and more forgiving. Faster face combines with new adjustable weight set up.